The holiday season is HERE! What does that mean for you and your health? While the "average" weight gain definitely can vary in each person. Some people say it's 5-8 pounds on average that people gain during the holidays. And while that may or may not be accurate, most people absolutely FEEL as if they have just gained that much, whether it's true weight or being major bloated. What's your plan this year? Do you have one? How would you FEEL if you came away from your holidays being able to enjoy some of your favorite holiday treats, yet at the same time, learned some tips, tricks and ways to prevent the typical weight gain or bloated feeling that you have felt in years past? Would that make FEEL amazing? Listen, I love the holidays just as much as the next person. I love the traditions, the smells and the treats! But I don't like the feeling of eating too much and feeling yucky and sick! I have learned over the years how to balance my holidays and be able to enjoy them, yet not go overboard. My goal is to help you through the holidays! We've got about 7 weeks before Christmas and I want to help lead you into a successful holiday season. You could easily shed some pounds before Thanksgiving and then we would focus on getting you though the holidays in a healthy way. Focusing on the time in between the holidays, learning how to get through your parties and be able to enjoy your special holiday traditions! Are you in? Are you ready to make this holiday different? 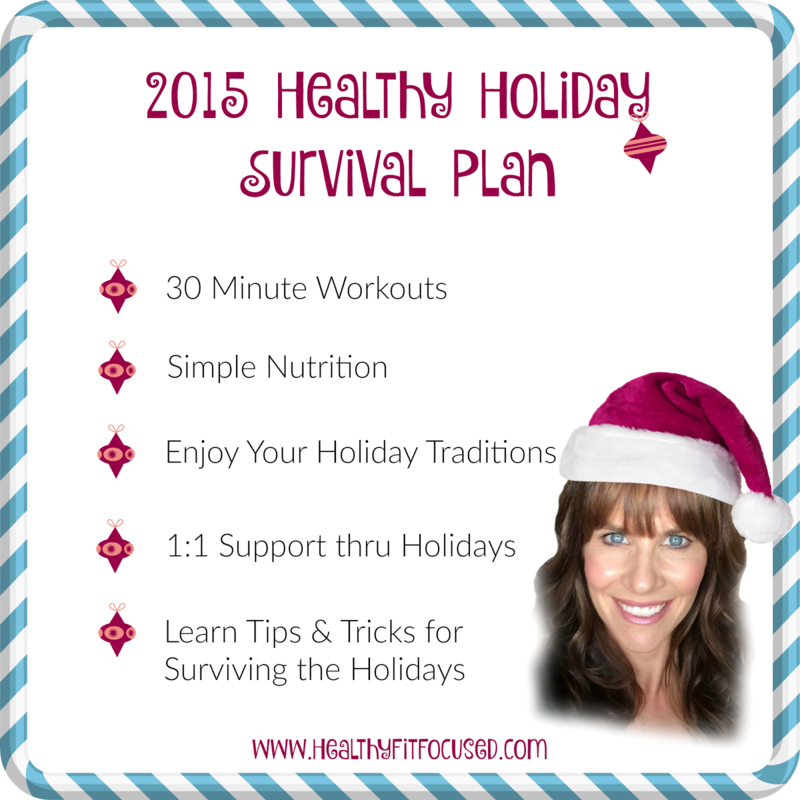 Check out the 2015 Healthy Holiday Survival Plan!! 1. You are required to have ME as your COACH through Team Beachbody. 2. Then together WE pick a fitness program through Team Beachbody that fits your needs. It does not matter what your ability level is, I have something for you! 3. You are REQUIRED to replace 1 meal a day with Shakeology only for the duration of the group. 4. Then, it is required that you participate in the online closed group daily. Each day I will share a tip, recipe, motivation or meal plan. You check in, rate your day and get your inspiration for the next 24 hours. You can log in whenever you want just as long as I know you are there it's all good! 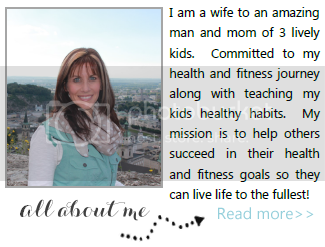 I am your personal support system so that you actually start, finish and truly succeed at changing your lifestyle. I will share with you the recipes that my family loves along with the quick easy recipes that don't take a lot of prep! This group will be an ongoing group for the holidays starting on November 9th, so don't worry...if you don't catch in right at the beginning I will have it open and will be adding people throughout the month, BUT...don't delay! This group is for YOU to help you through! The sooner you get plugged in the better!!! You don't want to miss out! 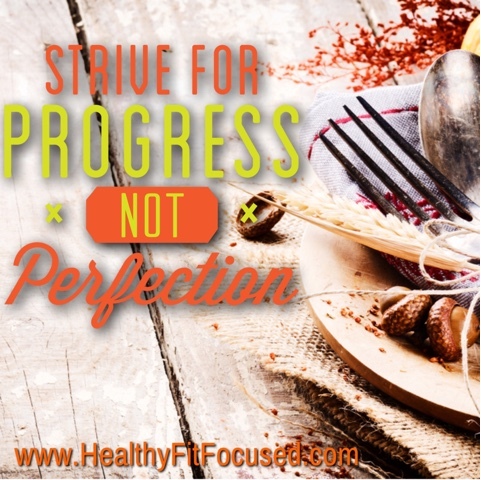 Strive for Progress NOT Perfection! !